Use the worksheet below to help you estimate. 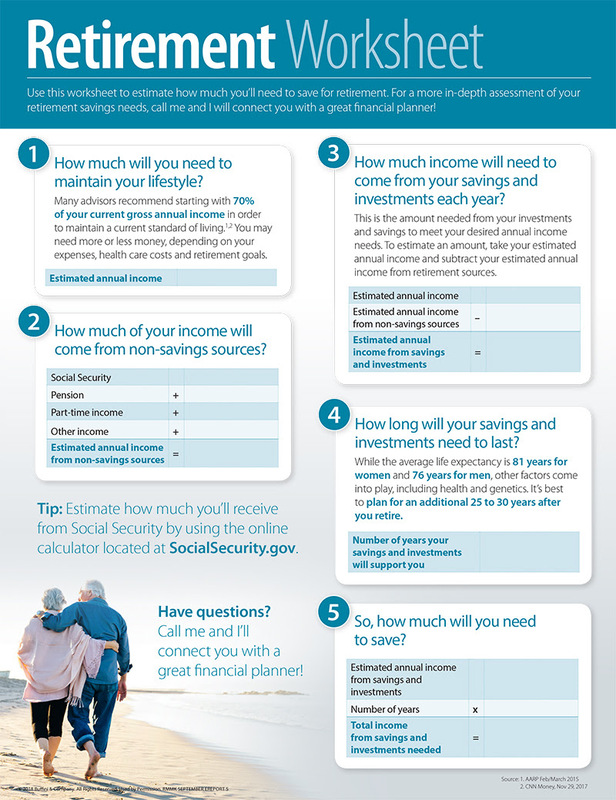 Although life circumstances may change, the worksheet can give you an idea of how much savings and investments you need to retire comfortably. If you’d like to speak to someone about financial planning, I can connect you with a professional in my network..